The listing broker owns this property. This building has housed a Pizza Restaurant for decades. Most recently it was known as Franko's. There is around $40,000 in new or well maintained equipment and a fire suppression system that is included in the sale price. This is basically a turn key operation and the owner would be happy to help the new owner get started. If the new owner wanted to keep the name Franko's there is a point of sale system with a healthy data base would be available to them at no cost. Franko's had built a good social media reputation and was voted best Italian Restaurant in Ingham County by MLive. Franko's had a limited menu of local favorites, including Pizza, Ribs, Lasagna, Grinders and Salads. Our Marketing Campaign, Signage and Interior were professionally designed. 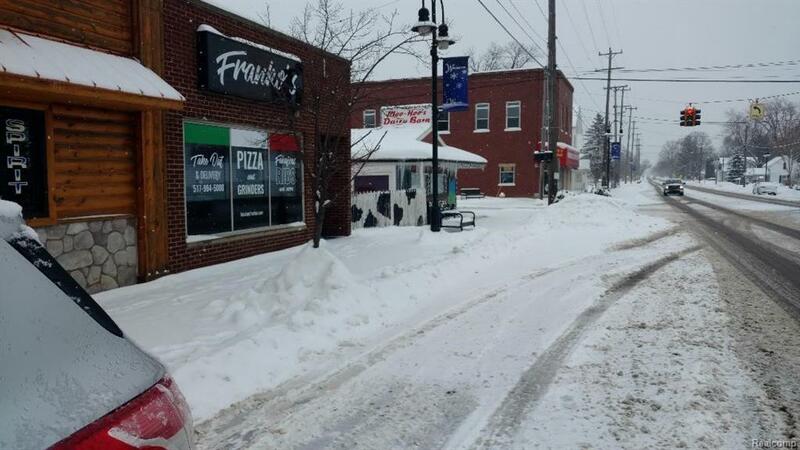 The owner of Franko's had spent many years in the restaurant business and was excited about the progress Franko's was making, but multiple businesses proved to be too much to handle. Listing courtesy of Denby Real Estate.